Important ancestral dwellings of the Liao Khitan empire were well furnished with precious objects deemed necessary in the afterlife. 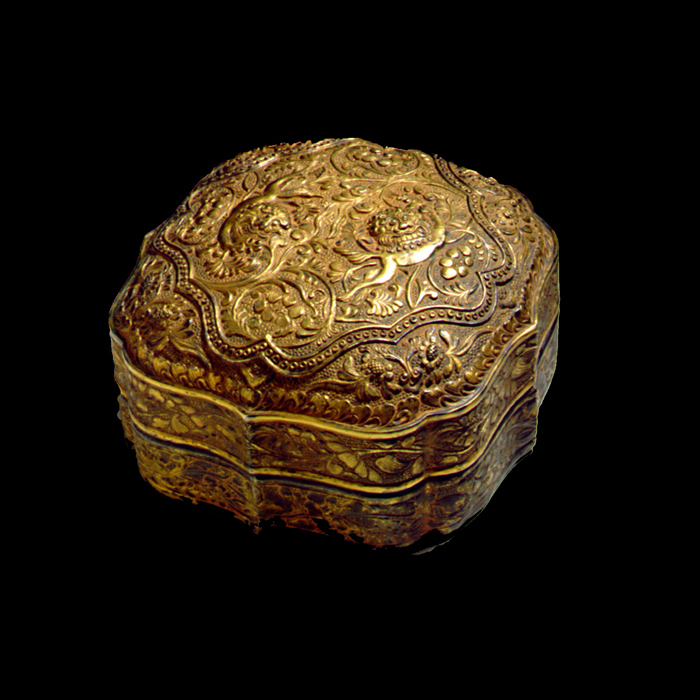 Gold and silver containers such as this covered box were placed in the dwelling to hold incense and other offerings. Recent archaeological excavation of an intact tomb of a Prince and Princess of the Chen Kingdom (Qinglongshan, Nainan banner region, Inner Mongolia) has revealed the wealth of the Khitan rulers in an abundance of precious metal objects of Liao manufacture. Nomadic Khitan tribes controlling northeastern China and Inner Mongolia to the banks of the Liao River were a powerful threat to north China’s borders. In a forced treaty of AD 1004, the Liao were able to exact an annual tribute of silver and silk from the Northern Song (960-1176). Through frequent contact and trade with their Chinese neighbors, the Liao adopted numerous cultural and ritual elements from both the Tang (618-907) and Song (960-1279) empires including systems of agriculture, manufacturing, and administration. The design of this covered box reflects how Liao artists absorbed Chinese artistic styles and incorporated them to create a unique regional art form specific to the Liao. Prisoners and refugees from China were allowed to settle in the Liao area, and artists were employed by Khitan nobility in their workshops. The influence of sophisticated Tang metalwork techniques inspired the elaborate workmanship of this box. While lions are not native to China, the lion motif on the cover originated during the Tang period as a symbol of valor and energy. The realistic floral designs rendered in high relief emulate concurrent styles of Song period metalwork. In our opinion, the subject matter, workmanship and material suggest a Liao date for this subject. Note: the reddish deposits occurring on the interior surface indicate that copper was used in the silver alloy, yielding a more malleable material. Published: Ritual and Belief: Chinese Jade and Related Arts. San Francisco: S. Bernstein & Co., 1993. Plate 31. Exhibited: Ritual and Belief: Chinese Jade and Related Arts. S. Bernstein & Co. San Francisco, 1994. 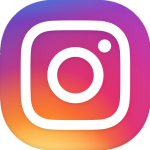 Published: Private Passions, Connoisseurship in Collecting Chinese Art. S. Bernstein & Co., San Francisco, 1998. #18. 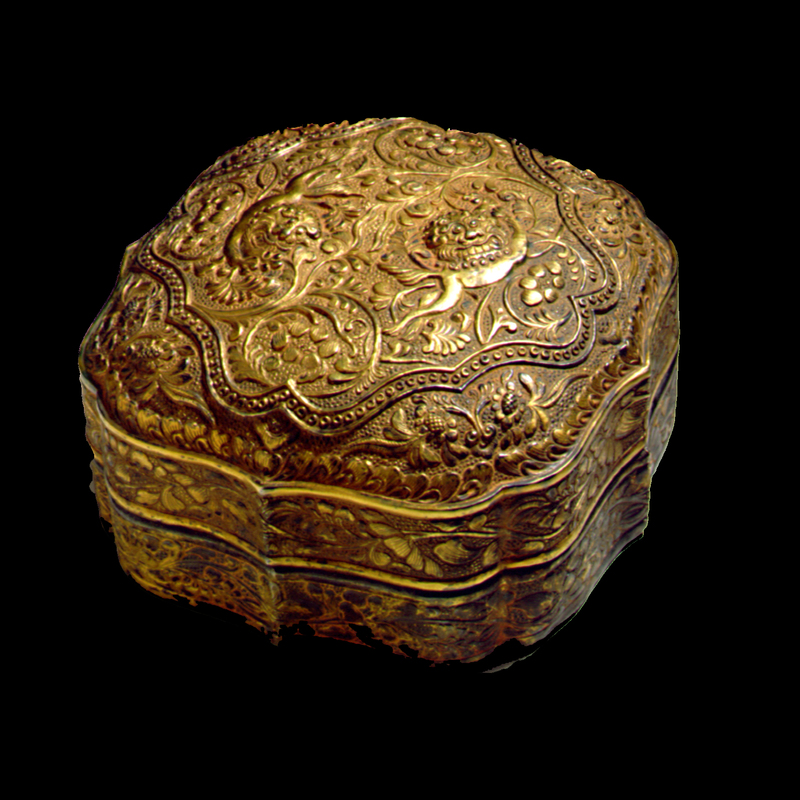 A square box of similar bold style is illustrated in Imperial Gold From Ancient China: Part II. Christian Deydier. London: Oriental Bronzes Ltd., 1991. Pages 34-39, plate 11. A Tang circular box of similar design depicting two encircling phoenix birds is illustrated in Gongyi meishu bian 10: jinyin boli falangqi [Chinese Arts Series, vol 10: Gold, Silver, Glass and Enamelwares]. Yang Boda, ed. Beijing: Wenwu Press, 1987. Page 34, plates 66, and 67. The occurrence of the lion in Chinese art is also discussed in Chinese Ornament: The Lotus and the Dragon. Jessica Rawson. London: British Museum, 1984. Pages 110-114. For further reading on the Liao tomb of the prince and princess see the illustrated article, “The Liao Dynasty Tomb of a Prince and Princess of the Chen Kingdom.” Zhu Qixan. Orientations. October, 1991. Pages 53-61. For further reading on the history of Chinese metalwork see Ancient Chinese and Ordos Bronzes. Jessica Rawson and Emma Bunker. Hong Kong: Oriental Ceramic Society, 1990.